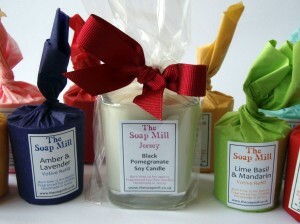 The Soap Mill Jersey create a wonderful range of natural soaps, bath products and candles using local ingredients wherever possible. Their products have become incredibly popular across the island and their business is going from strength to strength. Jane Farnham took a few minutes out of her busy schedule to tell us a bit more about her soap making business. I’ve always had a passion for creating things and I’ve always liked soaps. Whenever visiting England or France, I would never be able to resist a soap shop. As my soap collection grew I became more interested in their ingredients and was shocked to discover how many contained harsh chemicals and preservatives. It wasn’t long before I wanted to create my own soap made with good natural ingredients such as olive oil, shea butter, honey and essential oils. I also wanted them to be moisturising and gentle, and not have any of the nasty stuff that some of those other soaps contained. 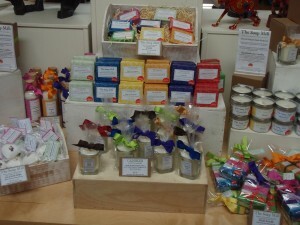 In March 2011 I went to London to train to make soap and that was it - I was hooked on all things soapy! 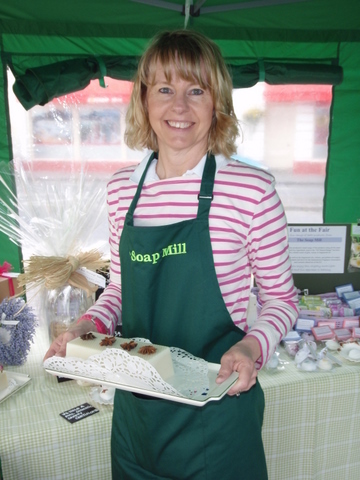 I wanted to start my own natural soap making business and was delighted when I eventually obtained the necessary cosmetic safety assessments enabling me to make and sell my products in the UK & EU. 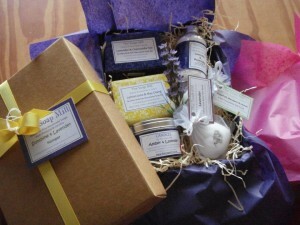 We now create natural handmade soaps and bath products using butters and oils and also essential oils. 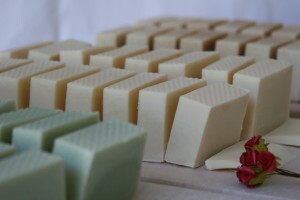 Since November 2011, my husband Dorian has been making wonderful fragranced soy candles to compliment the range of natural soaps and bath products. All of our products are made here in Jersey. A fairly typical day for me starts early, selecting which recipes I am going to make that morning whether it is soaps, bath bombs, bath salts or maybe experiment with a new product! The soaps take six weeks to cure so I have to adhere to a fairly strict rota. The second half of my day can either be wrapping and labeling finished products or visiting our various stockists and replenishing stock levels and some days are spent thinking up new fragrance blends and recipes. 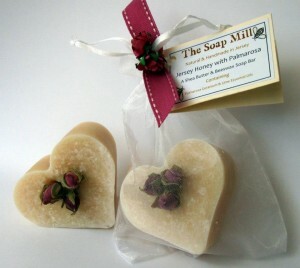 Although I love all aspects of soap making this really is the fun bit! It’s always difficult to say which is our most popular product but, as you would expect for this time of year, Lavender has a good following. You can’t always tell what’s around the corner - in early 2012 we had a soap product that we were days away from discontinuing. It just wouldn’t sell. For some reason it became our second or third most popular soap over the course of one weekend. Had someone become addicted to it and gone round buying it up from every stockist? We don’t know and we probably never will. The soap in question was Ginger & Lemongrass and it is still doing well today. So, ask me again in six months which is our most popular product and the answer could be a soap that we haven’t even thought of yet! 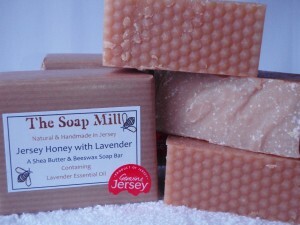 Also, you can keep up with Jane and Dorian’s latest products by following their Facebook Page: The Soap Mill Jersey.